Did you believe Whatsapp was only for free calls and forwarding cheesy over the top messages on Family groups? Well, guess what? Broadway Pizza just proved you wrong! 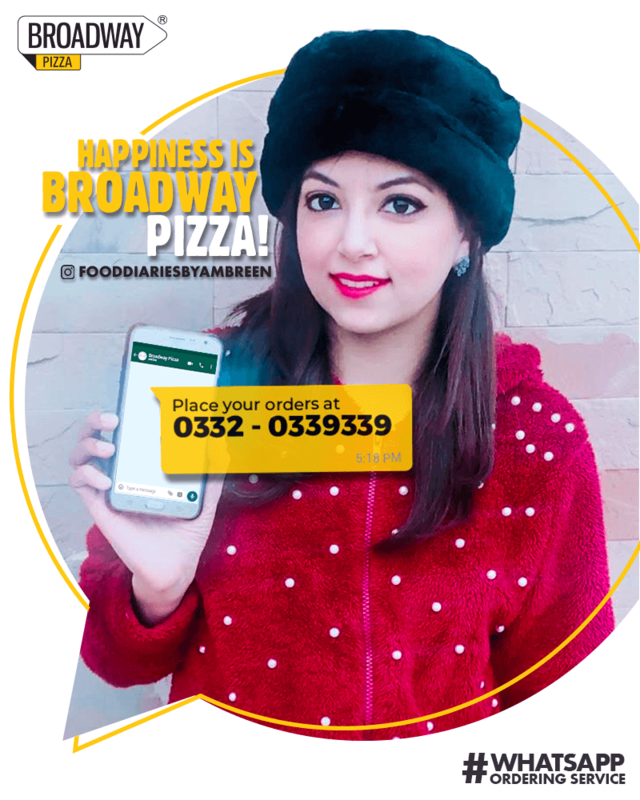 Being one of the most loved pizza brands of Pakistan, Broadway pizza has been serving at people’s doorstep in just 30 minutes via online and on-call delivery service. But why should innovation be done in pizza flavors and not the ordering process? Right? So brace yourselves for a new super easy way to get your pizza delivered! 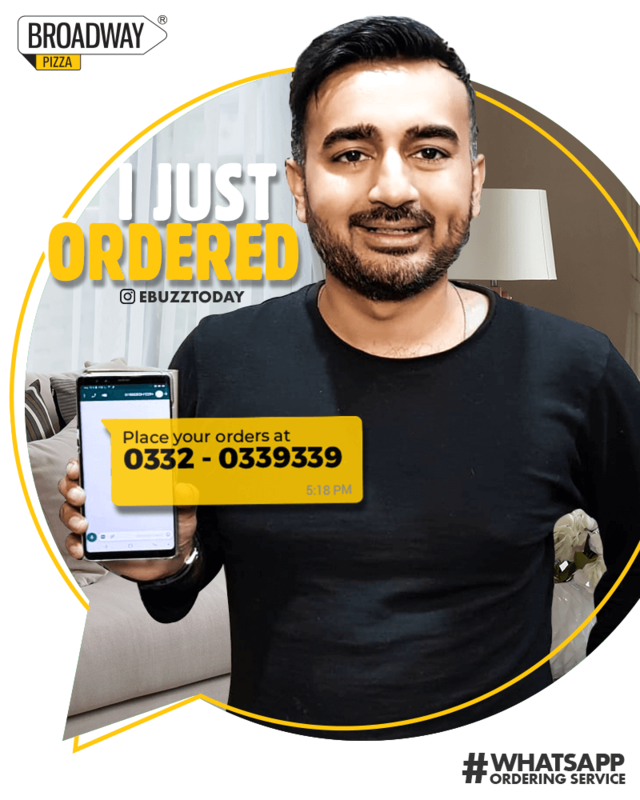 For the first time in Pakistan, now order Pizza through WhatsApp! Yes, you read that right! 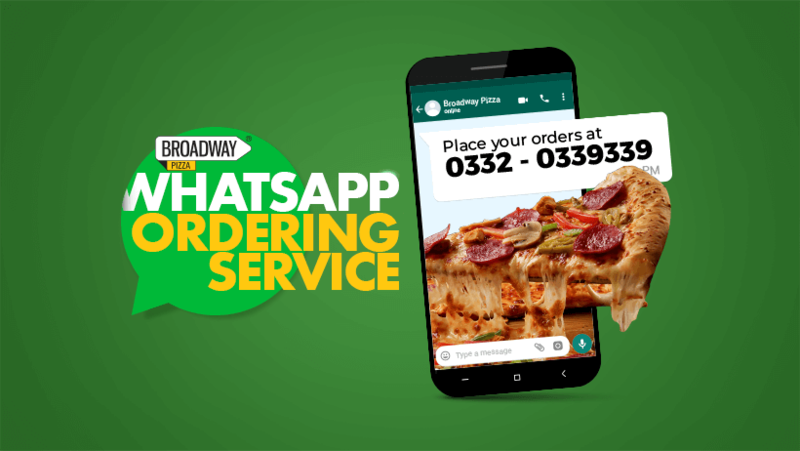 Broadway Pizza is now delivering Pizza to you over a WhatsApp text for the first time! What a relief for Pizza lovers, now there won’t be any waiting on a call for their turn to place the order. Broadway is not only popular for making amazing pizzas but for also being the first in innovating new stuff. They were all over the news when they launched the biggest pizza slice of Pakistan! For the first time, it was impossible to finish a pizza slice on your own. Many pizza fanatics and celebrities took the Biggest Slice Challenge! 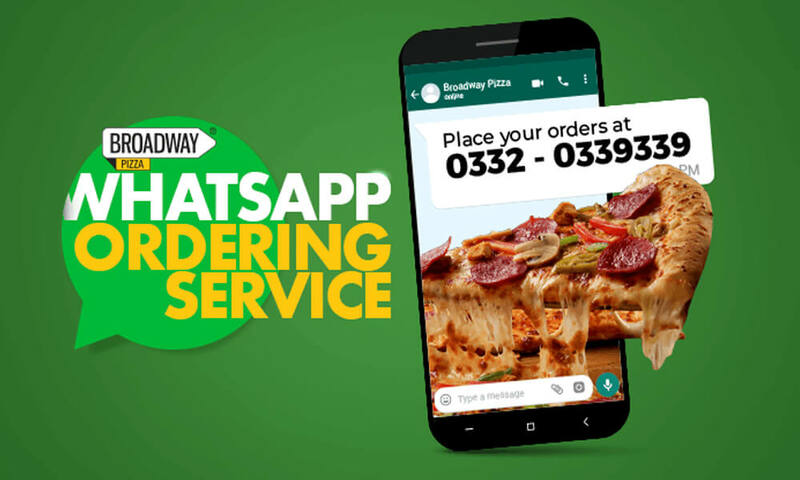 And now after being innovative in serving the deliciousness all these years through its 23+ branches nationwide, Broadway Pizza is making waves with a whole new reason, introducing super-easy Whatsapp Ordering Service for the first time in Pakistan! Started from delivering Pizza on call, Broadway Pizza soon introduced the online ordering service through their website, and they didn’t stop there! 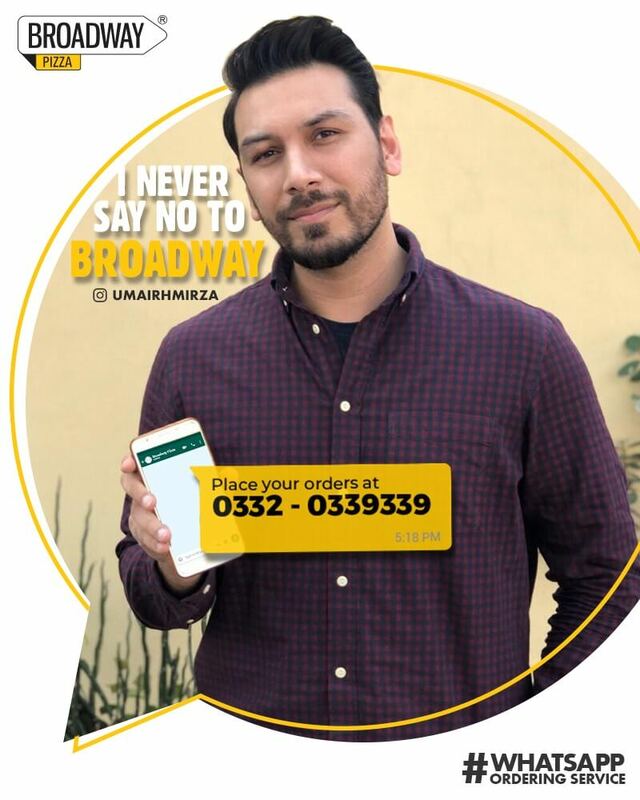 Soon was launched the Broadway Pizza app, and our favorite Pizza was just one tap away. Sounds cool enough to stop right there? But Broadway likes to keep the show going. 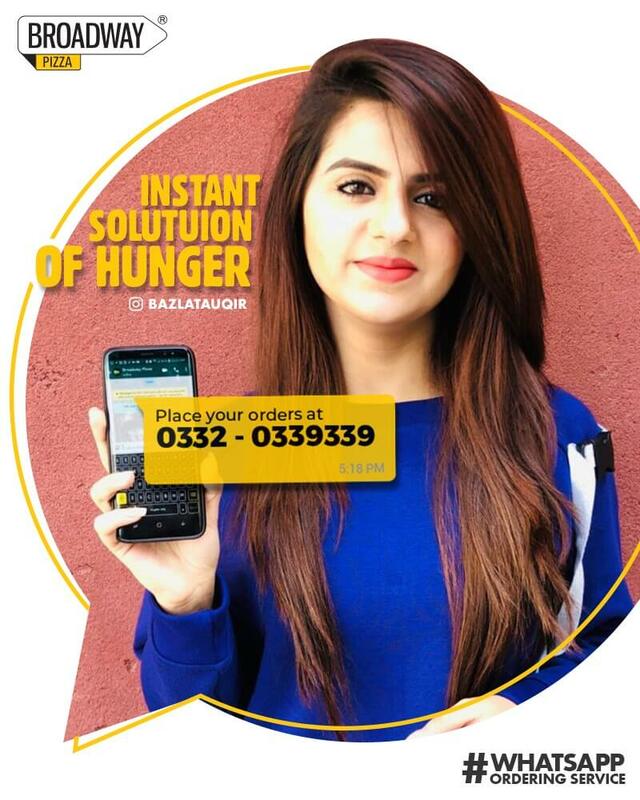 Hence the Whatsapp Ordering Service, something new for the Pizza lovers in Pakistan! 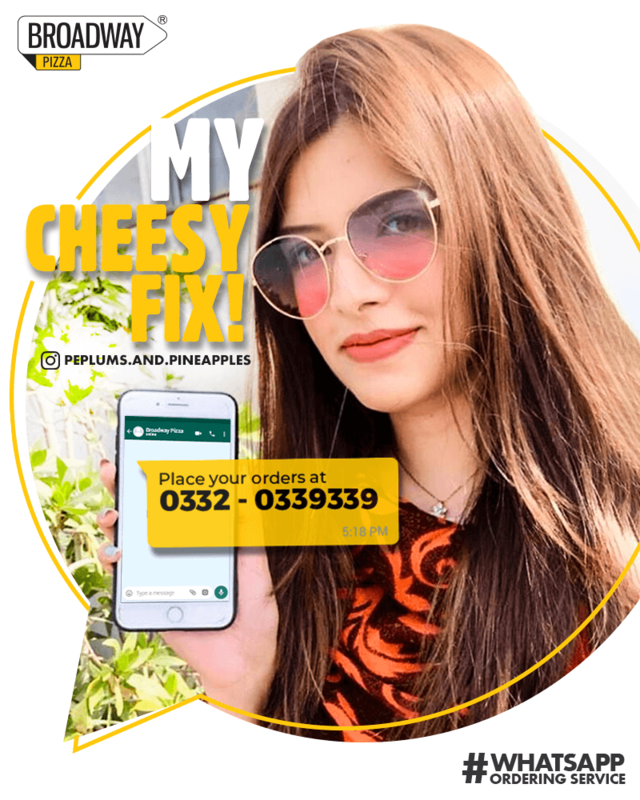 The ordering process involves sending a text to the always available WhatsApp number 0332-0339339 with your name, contact details and complete address with the city. 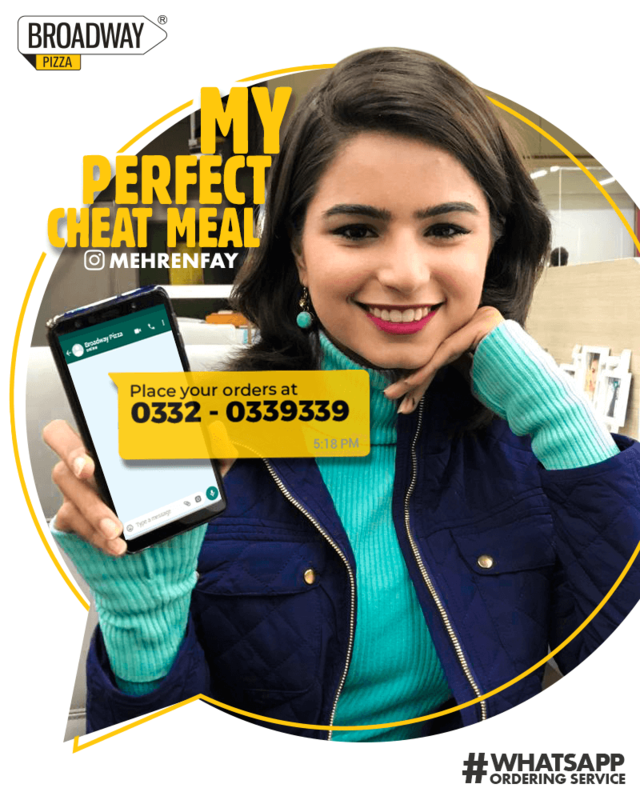 Your order will be taken right away and as you get the confirmation on the given contact number, the pizza of your choice will be on your way. We believe that where there is will to eat a Pizza, there’s a way to get your hands on one, and Broadway keeps proving us right. Next articleTop Taxpayers are Invited to Dinner with PM Imran Khan!